Are you struggling to get a loan at the bank because you have bad credit? It’s hard when you’re in a dire financial situation and you can’t seem to get the help you need. Don’t fear! Banks aren’t your only option. Have you ever considered alternative lenders? Alternative lenders such as Title Loans Express can help you get the exact loan you need for whatever situation you may be in. The best part about getting a loan with us is that you won’t need to have perfect credit like the banks require! We provide car title loans meaning we’ll help you get a loan based on the equity and market value of the car! Title Loans Express provides fast, easy, and hassle-free car title loans, which are also known as auto title loans and pink slip loans. A car title loan allows you to borrow an amount that is worth the market resale value of your vehicle. The main factor to qualify for this type of loan is your vehicle pink slip, which proves that you are the owner of your vehicle. We’ll appraise your vehicle for its equity value and let you know how much you can get for your loan. You’ll be guaranteed a loan of at least $2,500! To get started, follow these 3 steps! Give us a call today at 855-303-CASH (2274) or fill out our online application, which will take you less than 5 minutes! Our loan officers will answer any questions or concerns you may have about the loan process. Once you are qualified for the loan, we’ll give you an estimate of how much you can take out for your loan. Then send over your important documents such as a copy of your car title, your driver’s license, proof of residence, and proof of income. And that’s it! Your loan will be processed, and you’ll have access to your money through wire transfer or moneygram! Bad Credit Is Never A Problem! turned down with us. Unlike the banks, we don’t worry about your financial history or your past. It’s not a problem! Even if the banks turn you down, we‘ll be the one to give you a hand! We’ll make it clear: your bad credit will never be an issue when you are trying to qualify for a loan with us. Instead, we solely base qualification on your vehicle’s equity value. If you’re the owner of a vehicle that is newer than 1999 and is in good condition, you’ll have a great chance at getting a loan for your needs. 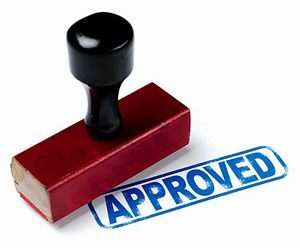 Call Today and Get Approved For Your Loan! Don’t hesitate to give us a call today and seek the help that you need! We’ll help you get a loan as fast as possible, and we won’t let you down. Give us a call today at 855-303-CASH (2274) and one of our loan officers will be able to assist you with your loan process. Get started on your loan today!